As we are well into the centennial of the First World War, a clear, unbiased view of how the war started is vital, not only to our understanding of our history, but, hopefully, to help avoid a similar future calamity. Unfortunately, historians have neglected the opportunity to review the facts from a fresh perspective, relying on secondary or tertiary sources, to parrot Allied propaganda. They are guilty of the most reprehensible sin an academician can commit - "The Unquestioned Premise". Instead of seeking the truth, a new generation of scholars have trudged in the hopelessly befuddled footsteps of A J P Taylor and Barbara Tuchman, and pointed a dubious finger of blame for starting the war at Austria-Hungary. Of course, this is a extraordinarily convenient argument for these historians, since Austria-Hungary is the only major European power, that did not survive the war as a nation-state. As the British humorist Saki put it, they are "Falling in with that excellent rule of life, that the absent are always to blame. This website is dedicated to challenging this complacency. Its very purpose is to question the unquestionable, and sacrosanct premise. However, it is easy to imagine that the reader, at this point, is dismissing this website and its historically heretical thesis as so much balderdash. So the presumptuous author offers you, the historically inclined reader, a challenge. Pictured below, is the very first weapon used in World War One. If you can identify it, by nomenclature and country of origin, you are almost certainly extremely well read and informed on the start of the First World War, and may depart for EBay, YouTube, and places unknown. If you cannot identify it, however, perhaps you can spare a few minutes, read further, and learn the truth about the start of the First World War. Well, to alleviate the reader's suspense, the innocent looking olive drab, oblong, oil can shaped object is a grenade - The model M-12 (for 1912) Vasic/Kragujevac Grenade, manufactured by and exclusively for the Royal Serbian Army. Notice the Vasic's peculiar, asymmetrical shape. It was obviously designed for concealability over over explosive effectiveness on the battlefield. Yet, the M-12, or the almost identical 1903 Vasic grenade, figured prominently in almost all the violence in the Balkans in the decade preceding the start of the First World War. 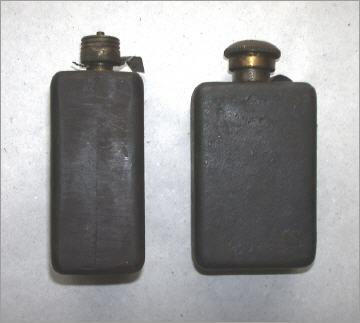 Serbian backed terrorists were armed with Vasic grenades when they tried to overthrow the King of Montenegro, in 1907. Serbian guerillas, or Comitadji, used them with cowardly and bloodthirsty effect against Turkish and Bulgarian troops and civilians in the two Balkan Wars of 1912 & 1913. This anonymous explosive is becoming interesting, isn't it? What is really interesting is that in the attack on Franz Ferdinand, on 28 June 1914, the seven Serbian assassins were equipped with 6 of these Royal Serbian Army issued hand grenades, among other weapons. Nedeljko Cabrinovic actually threw one of these Vasic grenades at Franz Ferdinand in the first, but unsuccessful, assassination attempt that morning. Since the assassination of the Austrian Archduke was the catalyst which started World War One, this was unarguably the first weapon used in that war. So, you would think that you would have been taught about this, in school, shown it in museums, et cetera. But, what is really really, really interesting is that every English speaking historian writing about the assassination of Franz Ferdinand, or the start of World War One, universally call this weapon a "bomb" - never a hand grenade - but always a "bomb". Historians know, or reasonably should know, or are manifestly incompetent and malfeasant if they don't know about the Vasic grenade. It is clearly identified in the annex of the Austrian Demarche of July 23rd, 1914. But they insist upon calling it a "bomb". Hmmmmm - very interesting indeed. Please click on one of the two links below to continue your pursuit of the truth about the start of World War One. If you want to go sequentially, Serbia is your next stop - but please you take your pick. I only want to thank you for taking the time to read this web-page, and please consider liking us on the ubiquitous social media links, below.